I always wanted to go back and redo this image. So I did. 5 exposure HDR. Click image for full size. The HDR technique certainly brings out all of the details in this elaborate image. The colors and clarity are superb! 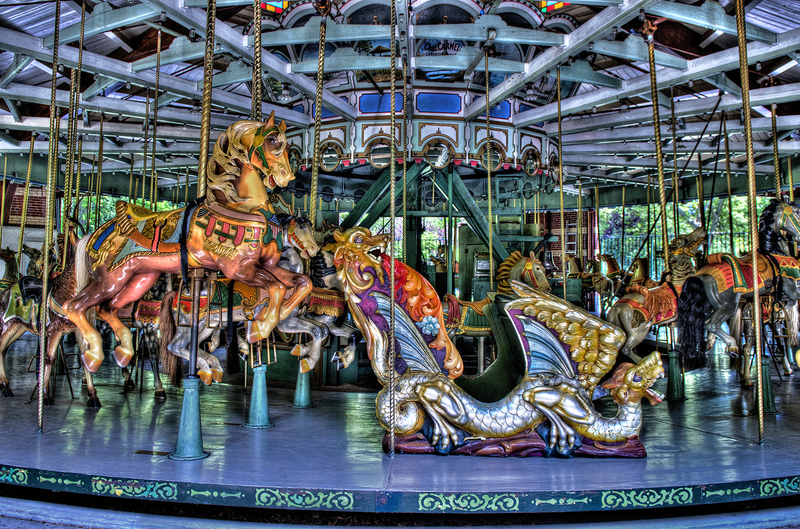 What a beautiful carousel – I’ve never tried using the HDR technique but this image makes me want to give it a try! Fantastic image! Now I must read a little about the HDR technique.